From the multi-million selling FINAL FANTASY franchise comes a brand new trading card experience! This 2-player game has even more cards for you to collect in the Opus IV Collection, the latest set of FINAL FANTASY TRADING CARDS to be released to the Western market. Opus IV enhances the play experience and collectability, featuring popular characters from fan favorite titles like DISSIDIA FINAL FANTASY –Arcade- and FINAL FANTASY TACTICS THE WAR OF THE LIONS. 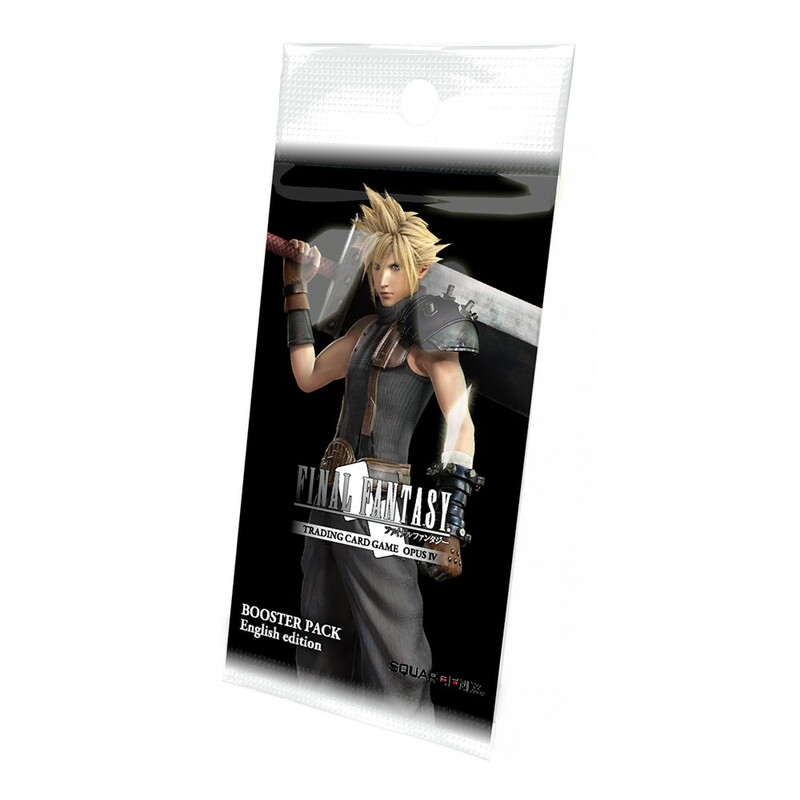 Booster packs bring you closer to completing your FINAL FANTASY TRADING CARD GAME collection and powering up your deck!